After the huge storm last night, including tornadoes in Long Island and parts of Connecticut, we awoke in the country to a most spectacular day today! Blue sky, billowy clouds, and a downed, huge, heavy tree branch that just missed one of our cars were the first things we saw this morning. Yikes! This was our breakfast, an absolute favorite of mine. 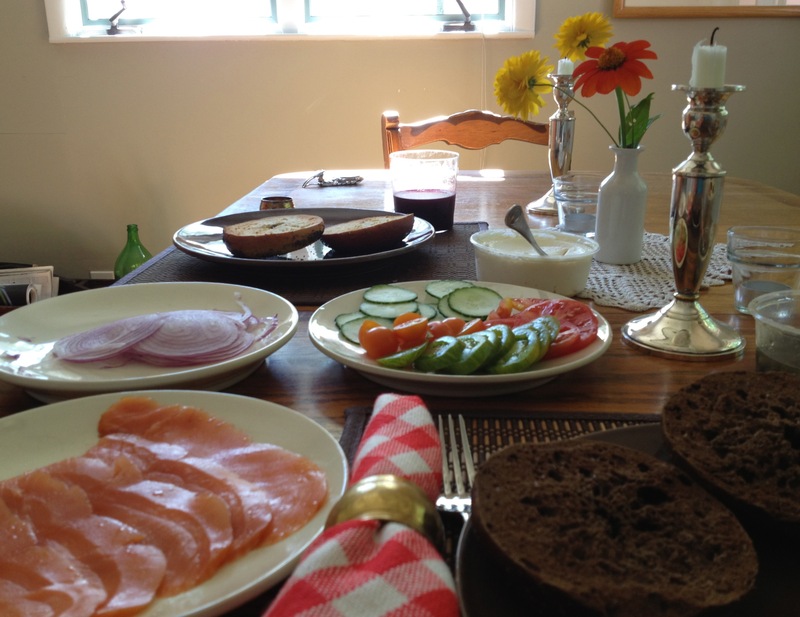 Smoked salmon, Ben’s homemade cream cheese, tomatoes from the garden, thinly sliced red onion, capers and toasted bagels. 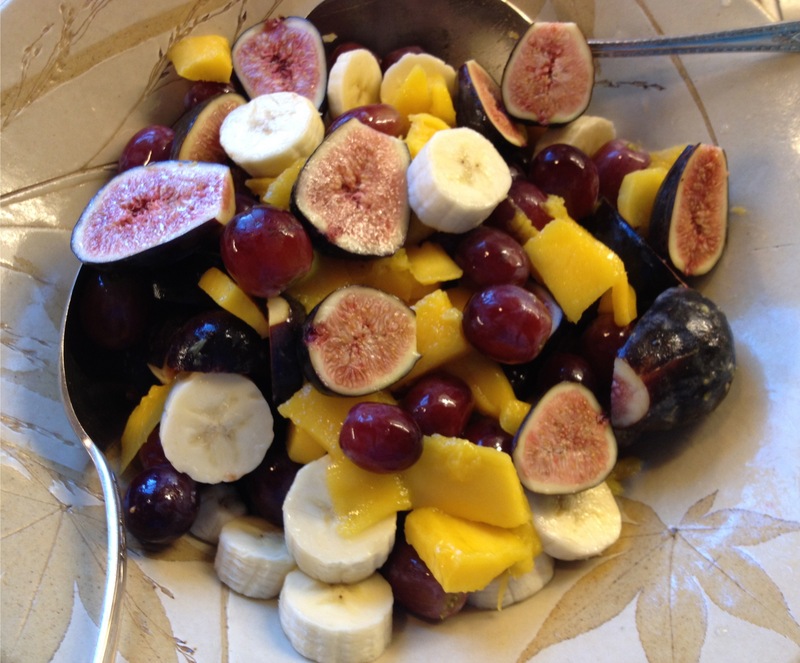 We finished it off with a fruit salad of black mission figs, mango, red grapes and banana. Can’t beat that! Although there is nothing here that I made, except for putting together the fruit salad, I just had to share it with you because it was all so pretty in the dazzling sunlight this morning. 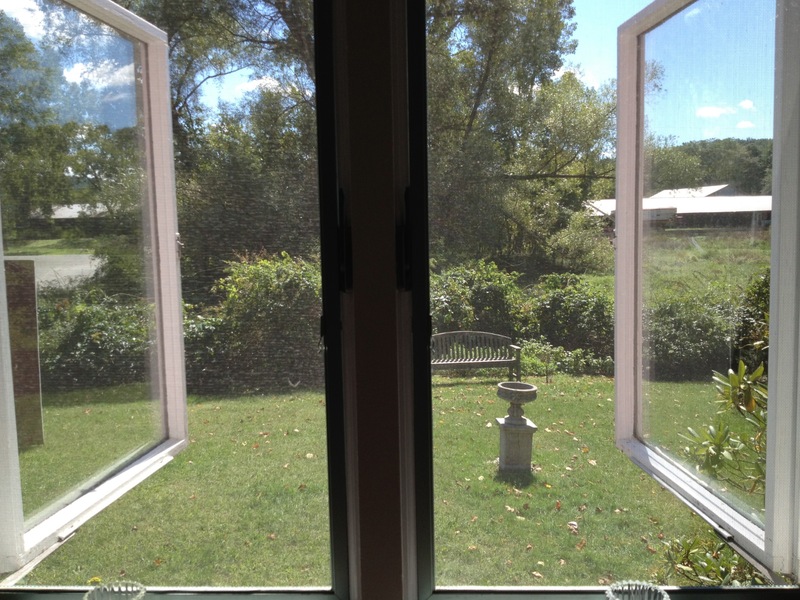 See the view from our dining room window below. Hope you had a great weekend! My all time favorite breakfast. We have not yet been up to Yale. Zach is settling in in his apartment.